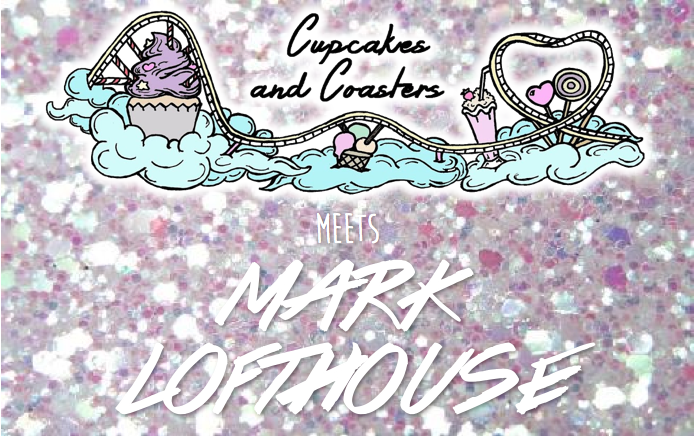 For 2017 I'm very excited to introduce a new segment on Cupcakes and Coasters: Cupcakes and Coasters meets, a series of interviews with people of interest within the themed attractions community! Kicking this exciting series off, I caught up with Mark Lofthouse, a themed attraction designer turned events manager once involved in creating the UK's Sickest Attraction! I caught up with Mark to get his take on how events at themed attractions are shaping the industry in 2017 and what we can expect in the future. You’ve recently taken on an exciting new role as an Events Manager, can you tell us about your intentions for this role? I sure have, I was successful in several interviews to gain the role of Events Manager for a big North-West based attraction - I can't say at this moment exactly where (damn!). I'm so excited to start and get my teeth sunk into the role - the role is brand new and hasn't been at the park before, so it means I'm going to sculpt the events for the future and in some respects going to go down in history as the first ever events manager of... (Oops! nearly...) which is really exciting, and terrifying in the same breath. My intentions are to develop exciting and interactive events and experiences throughout the whole year to cater for the family market (and potentially thrill-seekers at Halloween, but that's for another time!) Really exciting stuff! Events are increasingly becoming a key aspect of the theme park experience; why do you think this is? Events truly are becoming increasingly popular for theme parks and attractions and to me, this is why: you need to stand out from the crowd! The UK specifically really isn't a large place and there's loads of tourist attractions from museums and arcades right through to safari parks and theme parks. With such a saturated industry and only a relatively small amount of public to visit them all, you have to make sure what you're offering is different to the park down the road. You have to give guests a reason to come to you over your competition and most large-scale events are run in times that the usual visitor numbers are lower, an 'off-season' so to speak and so it just makes sense to add something a little extra to entice guests to spend their well-earned cash at your venture. 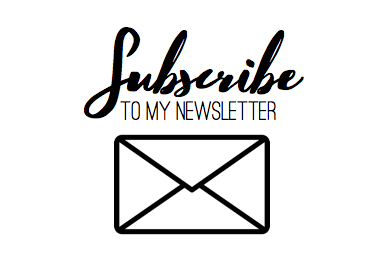 In the same vein, it's also about making guests perceive that they're gaining more for their money (more bang for their buck if you're on the other side of the Atlantic), it's a really clever sales tactic to have! How do you realise a concept? What’s the process? I'd love to say that it's a really fun and exciting process, but in reality it's really drawn out and tiring work (and a little bit of fun!). So for me, it all starts with a feasibility study to see if an event or attraction is worth adding, if it'll generate income (or populate the park in quieter times) before any of the fun concept begins, Once the paper work is out of the way, it's on to the fun stuff! I find that for me it's about a seed concept or idea. This can be a phrase, a photo, a sound, ANYTHING that makes you envisage a starting point. This phase is also known as 'Blue Sky Imagineering', in which any idea is possible. From this point it's about furthering the story (narrative), backstory, characters, what the experience will be (the form of the experience), is it interactive or passive? There's so much that goes into each step and along the way you add so much, and take a lot away at the same time. I like to imagine it as constructing a human body (gross, I know! ), you start with the bare bones (Blue Sky Imagineering), you then start to add the muscles (feasibility studies, operations documents, marketing, etc. ), adding the flesh (the cool creative things like proposals, artwork, scripts, full storylines, etc.) before finishing with the skin, hair etc. (lighting, sound, scent, atmospherics, graphics, theming etc.) This is the part that the guests see! What is your favourite event not designed by you? I'm a huge Halloween fan and will always hold Halloween Horror Nights up as one of my favourite events. The form of the haunted houses is completely different to the UK and Europe. Instead of heavy performance based scares and group dispatching, they rely on a conga-line continuous walk through the attractions which for some people doesn't work but for me, the event is about so much more than their haunted houses. The event is just mammoth, you can't describe it to anyone without seeing it in person - the whole park is electric with thousands of thrill-seekers screaming, laughing and drinking (lots of drinking!) together in theatrical lighting and a thick veil of smoke. There really is no other event I've visited that has the same atmosphere as HHN and I can't wait to visit again (with Cupcakes and Coasters!). Scare attractions seem to be experiencing a bit of a boom here in the UK. What would you say are the most important aspects of designing an effective scare? It's a really tricky question because what scares one person doesn't scare another - so I suppose for me, making an effective scare attraction relies on having fluctuation in the types of scare you provide, ensuring you hit every (or try to) person in the group. For example, when I'm designing an attraction I try to include the following (in no particular order): jump scares, gore scares, revulsion scares, ambush scares, tactile scares and psychological scares. As a case study, let's look at this fictitious attraction: The guests enter a haunted house and a scare actor leaps from behind the open door (jump scare), he then leads them through a dining room with human remains littering the dining table (gore scare), there's a slumped body at the head of the table that vomits as the guests pass (revulsion scare), following the dining room, guests pass between bookcases where two scare actors attack from either side (ambush scare). Throughout the bookcase tunnel, string hangs from the roof, brushing against the guest's heads to resemble cobwebs (tactile scare), the guests are pursued by a character that then disappears without a trace - or has he? (psychological scare). That's a very crude description of a scare attraction, but you get the idea! Which attraction would be your dream to design a haunt for? I'd absolutely love to get involved with a huge theme park, or theme park chain to develop their Halloween attraction and scare attractions. I'm quite lucky that I've touched that water working with a theme park and I absolutely loved every step of it. Aside from themed attractions, I'm a huge theme park fan, too, so to be able to work with parks to develop their attractions would be a dream. I know this might come across as slightly cheesy, but this new role I've got is completely in that vein and after many years of working freelance, to be taken on by a company to work with them and develop their brand is a dream come true! What kind of events would you like to see more parks tackle here in the UK? I'd love to see some 'out of season' scare offerings. I know I've spoken about scare a lot so far but I just love the intricacy and interactivity that that form of attraction has! The likes of Parque de Atracciones in Madrid holds a 'horror fest' throughout the summer months in which they work with large scale IPs (such as The Conjuring) to create huge scare attractions - in June. It's incredibly to see something that is primarily seasonal become year-round, and it would 100% work for a UK market, so fingers crossed! What is your pet peeve of scare attraction design? 1) Darkness, for no reason. Yes, some people are scared of the dark, but the majority of people aren't, so having a really dark attraction for the only reasoning as to save money on theming and narrative is sheer laziness and should be stopped, immediately. 2) "Get out", if I hear this in any attraction, I completely switch off immediately. It's unbelievably uncreative and cheap. 3) "Help Me", passive attractions do not work - the type of attraction in which the guest is merely a spectator and not part of the story, not involved and not included. UK audiences especially want to be involved, they want to play a part of the story as that's where the threat and malice is held - aimed at the guests. When you have an attraction in which all of the threat and malice is pointed at the scare actors (not going to name names), it breaks the flow up and the guests become flies on the walls. It's really, really boring! Where do you see the future of events such as this? Scare attractions are becoming more extreme, more in your face and more interactive and that to me is a fantastic thing. The term 'extreme' is battered around a lot to any full-contact (touching) attraction or those forms of brutal survival experiences, when in my mind they're not 'extreme', they're survival events. Extreme to me is heavy immersion through sight, touch, scent, hearing and scent - an attraction that hits every single sense in the human body. It's the most engaging you can be to include guests in the experience. I've done quite a lot of these attractions and designed a couple of them, the guest feedback is insane to sit back and watch with no two reactions being the same. Although, I will admit, they're like marmite to guests, you either love them or hate them. I truly think this form of experience will be sticking around and becoming more popular at commercial ventures across Europe and the UK, especially with the likes of Walibi producing events. It just makes it that much more viable for a theme park to 'risk' producing such entertainment... go on, you know you want to! Do you think VR could have a part to play in events such as this? VR is a really tricky subject for me - I'm not the biggest fan of the technology as it stands and think it's a bit too soon to put into attractions as there's so many teething issues and in a lot of cases, the visuals aren't fully up to scratch. There's a couple of scare attractions and immersive attractions that have utilised this technology and they've been massive successes (apart from the one Knott’s Scary Farm produced - you can research what happened to that yourselves...), but for me, I'd like to keep it completely separate. On the flip side of what I'm saying there's an absolutely incredibly attraction in the USA that's up there as a 'must visit' for me, and that's The Void. The Void is actually a company that produce interactive VR attractions with tactile effects - you really have to watch a video to see what they can do. They utilise water, cobwebs, air and heat changes to mimic what you're seeing on your VR headset. To me, THIS is how you use VR and use it well. If more parks or commercial attractions utilised this approach and used The Void, I'd be all over that and would love to experience it. Time will tell, but it's certainly an exciting time in the themed attraction and themed event industries! That's it for the first ever Cupcakes and Coasters meets interview! I'd like to thank Mark for taking the time to catch up with me for this interview and very much hope you've enjoyed reading.